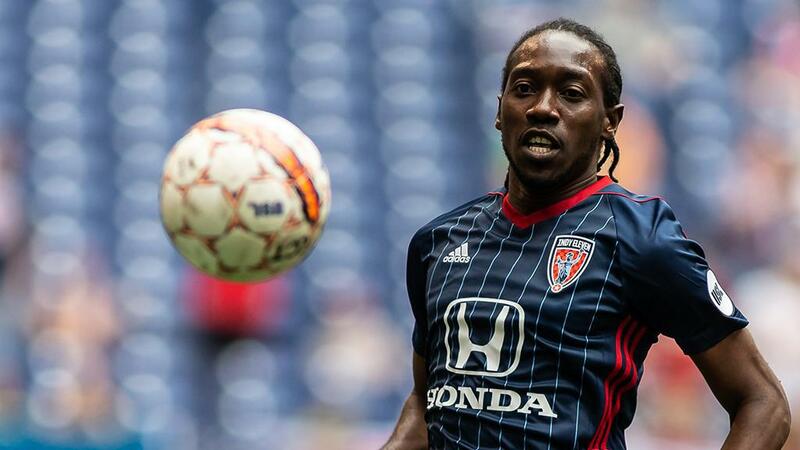 Lewis earns third call-up since joining "Boys in Blue"
Indy Eleven Professional Soccer announced today that Midfielder Nathan Lewis has been called up by the Trinidad and Tobago National Team ahead of one international friendly. Dennis Lawrence, head coach of Trinidad and Tobago National Team, named Lewis to his 20-man senior roster for upcoming friendly against Thailand on October 14. Due to his international duties, Lewis will not feature in Indy Eleven’s final 2018 United Soccer League (USL) match on the road against Louisville City FC on Saturday, October 13. Lewis, 28, has earned 17 caps for Trinidad & Tobago National Team, including appearances in 2018 World Cup qualifying matches against Panama, Grenada, United States and Costa Rica. In addition to World Cup qualifying opportunities, Lewis has also represented his country in the CONCACAF Champions League and Caribbean Cup Qualification appearances. Lewis scored in his last appearance for his home nation against United Arab Emirates.